We are working on forming a US Sailing Youth Foiling program for ages 12 – 18 and we’re considering purchasing a few UFOs (foiling catamarans). We have a lot of work to do to get this rolling and we would like your input as we move forward. 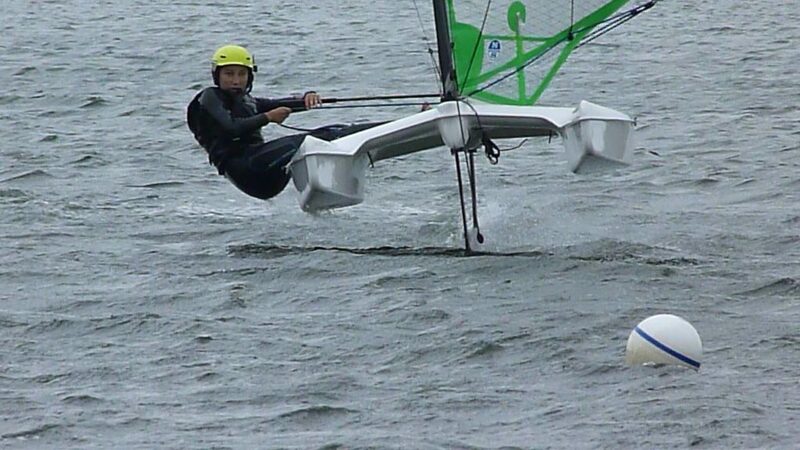 These boats have been developed for Youth Sailors under 170 pounds and offer a level of performance and fun we think would benefit our program and our young sailors. We would like to get your feedback on potential participation in this program. Please go to fulcrumspeedworks.com to take a look at these boats. Click the ‘overview’ tab to view videos and specs. Let us know your thoughts in the “suggestion box” provided below, or give us a call to discuss. We value your input. The form is for everything including: scheduling, new programs or events that you'd like to see. Would you like us to contact you to discuss?